Who says video games aren't art? 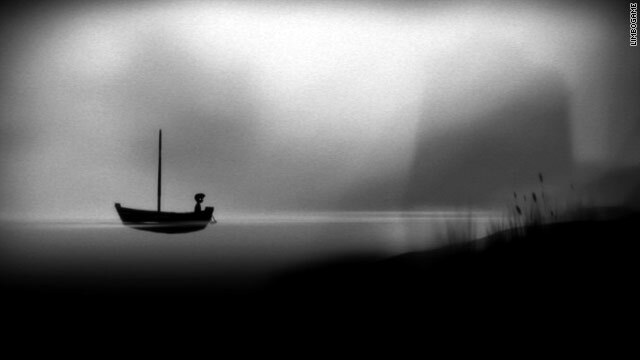 The haunting, shadowed realms of "Limbo" reflect the creative vision of the game's designers. (CNN) -- According to Merriam-Webster, the word "art" can be defined as "the conscious use of skill and creative imagination, especially in the production of aesthetic objects." The Oxford Dictionary says art is "the expression or application of creative skill and imagination, typically in visual form such as painting or sculpture, producing works to be appreciated primarily for their beauty or emotional power." Arguments run the gamut from games' interactive nature to their goal-driven mentality, commercial aspirations and ability to be definitively won, or ended, at certain key points in the plot. The logic goes something like this: When you read a poem, listen to a symphony or view a painting or a sculpture, you're enjoying an experience that's inspired by an artist's vision and prompts limitless reflection in the viewer. Sure, the swirls of Van Gogh's "Starry Night" or the magnificence of Michelangelo's statue of David can prompt awe and contemplation in onlookers. But should we think any less of sprawling virtual worlds that marry music, literature and graphics into a layered aesthetic experience filled with countless scenes, scenarios and choices open for individual interpretation? From pioneering efforts such as "Another World" and "Myst" to cult classics like "Okami," "BioShock" and "Ico," games have long used eye-catching imagery and compelling narratives to evoke passion and sentiment in viewers. Other titles, including "Passage," "Flower" and "Braid," also provide perspective-changing experiences with ample opportunity for introspection, as do the artworks of the masters. Touched by the hands of dozens or even hundreds of talented individuals working in concert toward a larger creative vision, each video game is arguably its own self-contained symphony of programming and graphics. From the haunting, shadowed realms of "Limbo" to the swirling sands you'll wander in the upcoming "Journey," these games further reflect the larger creative vision of the designers and directors who personally oversee these projects. Nonetheless, some critics still maintain that controlling the wind's passage as it blows through the hills or contemplating one's own mortality while surveying the tattered remains of a fictional civilization are experiences cheapened by their hands-on nature. What these arguments appear to miss is that the journey can be just as transformative as the endpoint. Whether or not you "beat" seamy potboiler "Heavy Rain" matters less than the choices made in pursuit of its serial killer, as each decision can have serious or even fatal outcomes for the lifelike heroes you command. Then there's "The Graveyard," an art game in which you control an old woman as she walks through a cemetery and sometimes slumps over dead (if you're lucky). It's not the actual walk through the cemetery or how the game handles that matters -- it's how you reflect on the scenario and what emotions the experience stirs up. Navigating the endless seas on your sailboat as a wide-eyed tot in "The Legend of Zelda: The Wind Waker" evokes a greater sense of childlike curiosity and wonder than finally exchanging swords with Ganondorf, the game's chief antagonist. All of these tales have the potential to change players' outlook and perspectives. All leave room for individual interpretation and personal growth. And all promise to leave players enriched for the experience. Detractors can rightly argue that not every game technically fits the definition of art, or aspires to such lofty goals. Plenty of titles exist purely as profit-generating vehicles designed to cash in on TV shows, films and mindless pop culture artifacts. But by letting us assume a variety of different roles, experience the world through new eyes and soak up scenarios from a fuller range of perspectives, many of the best games provide room for personal growth and individual interpretation. Capable of great import and splendor, at their best, video games can marry the aesthetic grace of painting, music and sculpture with the depth and gravity of film, literature and stagecraft. For all the joy and sorrow these titles can bring, it seems a crime to dismiss them because we're free to experience and interpret them in our living rooms, not some musty gallery.